The program was streamed live from the UGA Aquarium on May 10, 2017. During the event viewers were introduced to Gray’s Reef NMS through video, heard from scientists and had the chance to submit questions to be answered live. This program directly introduced tens of thousands of mostly elementary and middle school students to the wonders of Gray’s Reef and the challenges it faces. This is the fifth year that ONMS has recognized outstanding achievement in the fields of interpretation and environmental education. 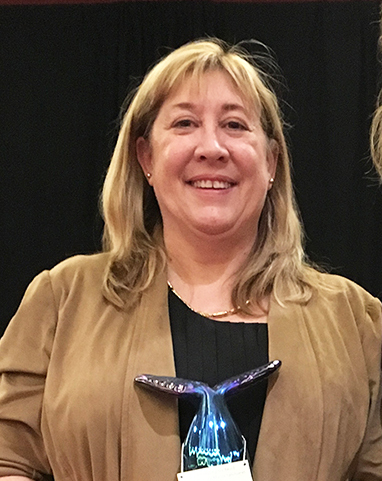 This annual award is given to employees, contractors and volunteers for their demonstrated success in advancing ocean and climate literacy, and conservation through national marine sanctuaries, as well as for their innovation and creative solutions in successfully enhancing the public’s understanding of the National Marine Sanctuary System and the resources it protects. 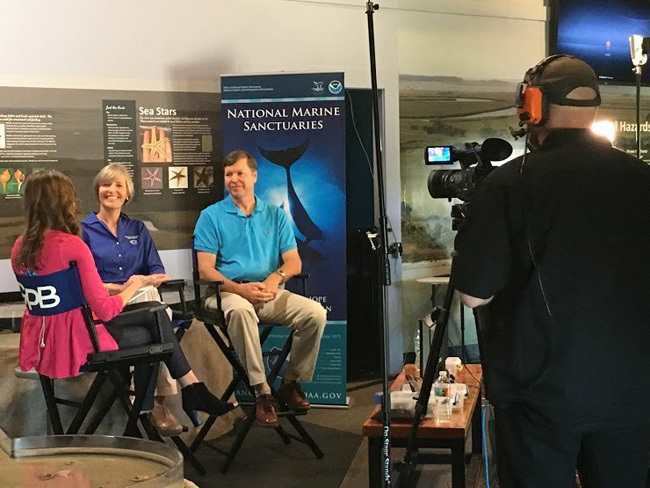 “It is fitting for sanctuaries to be at the forefront of interpretation and education alongside some of the country’s best interpreters,” said John Armor, Director of Office of National Marine Sanctuaries.